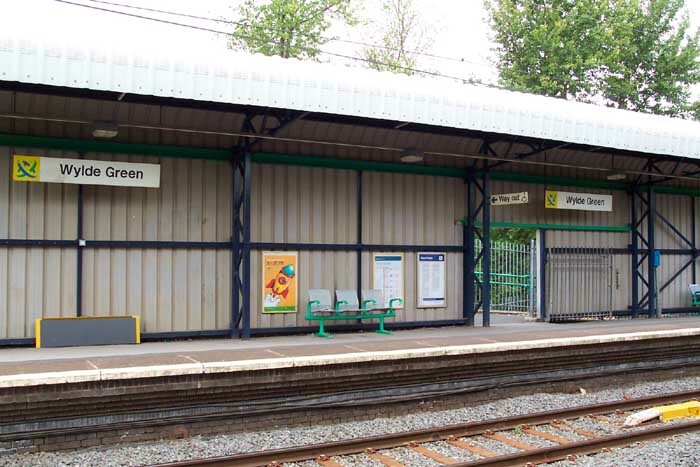 Opened on the then-LNWR Sutton Coldfield Line in 1862, Wylde Green Station has undergone considerable restructuring and none of the original station building remains. 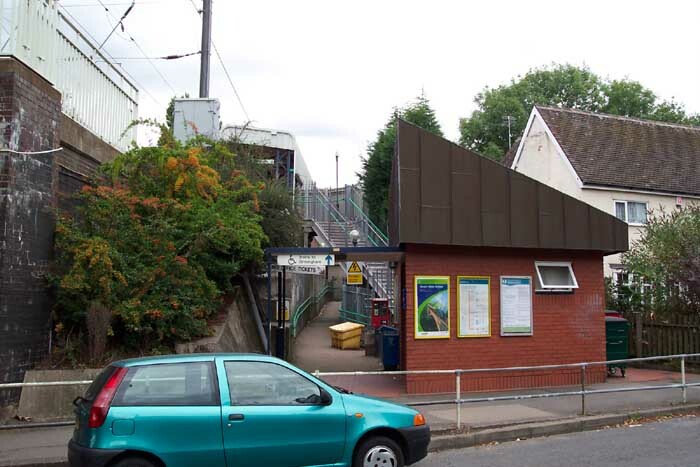 Instead, we are presented with an odd triangular-roof-shaped design at road level on the side of the Birmingham platform. 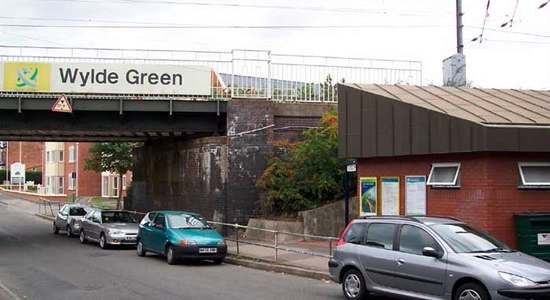 Above we see Wylde Green Station's entrance and the curiously- shaped station building on Station Road, August 2003. Above-left we are on the Birmingham platform looking towards the Highbridge Road overbridge and away to Sutton Coldfield. Above-right we are in the same spot but this time looking towards Chester Road Station. The entrance to the Birmingham platform and the station building itself is located at the bottom of a staircase at the end of the platform in this view. 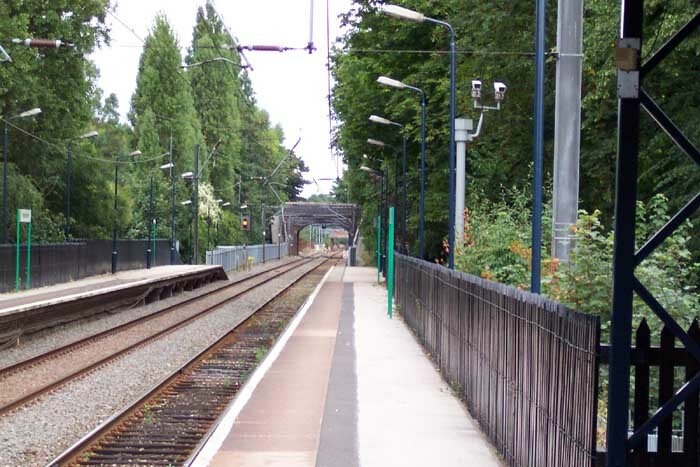 Above-left we are looking across the tracks at the Lichfield platform and its very fetching corrugated metal design! 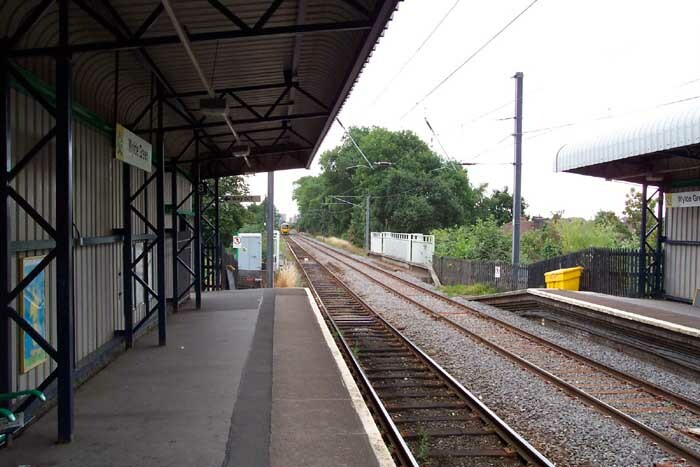 Above-right is a clearer view of the station building and just in the background can be seen the stairs to the Birmingham platform.